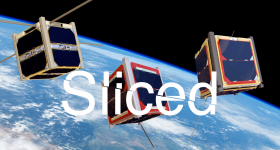 Today’s sliced features: the BionicAircraft Project, Star Rapid’s Star Trek themed rebrand, a new digital manufacturing course, ZMorph releasing a new 3D printer set, the FashionTech Berlin show and Makerbox. The BionicAircraft Project is an initiative funded by the EU in order to develop additive manufacturing for use in commercial aircrafts. With the aim of reducing emissions and employing more efficient manufacturing solutions through 3D printing. Now, IT software and consulting firm Cenit have joined the consortium of nine International partners. Cenit’s role will be to optimize software for designing 3D parts for the aircraft. Other members of the consortium include Airbus who we’ve reported on their additive manufacturing process with Sciaky. 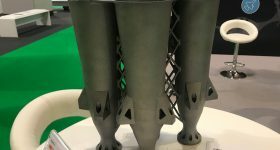 One of the main reasons why additive manufacturing and 3D printing has not yet had a major impact on aircraft manufacturing is the elaborate design process. Since this is not yet automated, it must be carried out via a series of different software packages. Airbus are also part of the consortium. Image via BionicAircraft.eu. The Maker Box Community Blog are running a giveaway. The top prize is a FlashForge Creator Pro with a number of other runner-up prizes available. The giveaway is to raise awareness of the blog and celebrate its creation. They have created the Maker Box Community Blog for the community to share news and updates ‘about the 3D printing industry‘, so we’re expecting (hoping) our articles will be featured there quite regularly! Manufacturing company Star Prototype have undergone a Star Trek-inspired rebrand. Now named Star Rapid, the company have removed ‘prototype’ from their name to reflect the company’s commitment to more than just prototyping. Star Rapid are a business that offer rapid prototyping, rapid tooling and low volume custom part manufacturing. The company are also announcing that they are expanding their facilities and investing $2.5 million in new equipment. 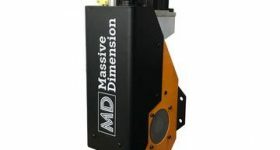 Star Rapid will be incorporating new plastic injection molding machines, CNC machining tools, Electric Discharge Machining (EDM) machines, and high tech inspection and testing equipment. The initial founding more than a decade ago, and the recent rebrand to Star Rapid, were partly inspired by principles found within the world of Star Trek. As a company, we embrace high technology to enhance the expertise and experience of our staff, and we strive to operate as a meritocracy. 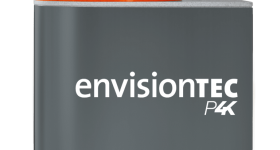 We know that with the right tools and a dedicated team, we can challenge the status quo. The new Star Rapid logo. Image via Star Rapid. Chicago-based research and commercialization collaborative UI Labs have announced a ‘first-of-its-kind curriculum‘ on digital manufacturing. 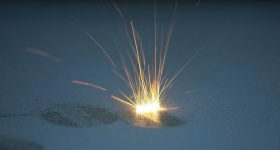 The aim of the course is “harnessing data to make American factories more efficient and competitive.” Which includes understanding the processes associated with additive manufacturing. The Massive Open Online Course (MOOC) “includes 40 hours of instruction, assessments, peer interactions and a final project.” The curriculum was developed with partners University of Buffalo who acted under the Center for Industrial Effectiveness (TCIE). While TCIE designed the course in collaboration with their industry partners which included Siemens PLM. 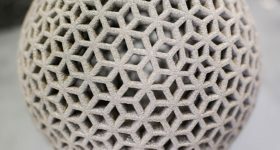 Siemens are a company that have been increasing their 3D printing presence recently. The course is titled ‘Digital Manufacturing and Design Technology Specialization’ and will be available on Coursera, the biggest MOOC platform. The new printing set is to be used with ZMorph’s Dual Pro Extruder. The ZMorph 2.0 SX with new aluminum spool holder upgrade. Image via ZMorph. Fashion Exhibition and conference FashionTech Berlin will showcase the latest innovative use of 3D printing for fashion, technology and wearables. The event will coincide with Berlin Fashion week during 17-20 January. On display at FashionTech Berlin will be an Alexander McQueen designed 3D printed umbrella. In addition to various other 3D printed technology/fashion including a collaboration with Audi to create 3D printed dresses. Featured image shows Sliced logo over 3D printed gliders image. Photo via Imgur user exosequitur. More on this topicCan 3D printing PLA make a more sustainable textile industry?